The difference between a hydraulic and mechanical dock leveler is obvious on the surface – the hydraulic leveler works automatically with the push of a button, while the mechanical leveler is activated with a pull chain. more upfront than a mechanical leveler. Is started by a simple push of a button. The push-button controls raise the leveler and extend the lip. As the buttons are released, the platform then floats down to the trailer floor. 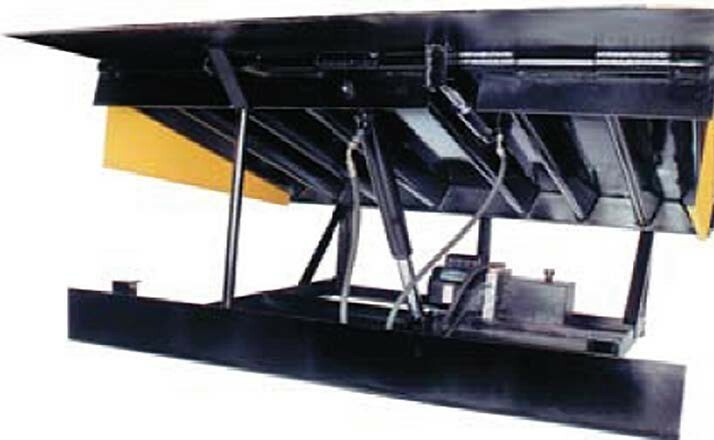 A hydraulic dock leveler tends to operate in a range between 12 inches below and 12 inches above the level of the dock. Normal operation doesn’t require pulling a chain. 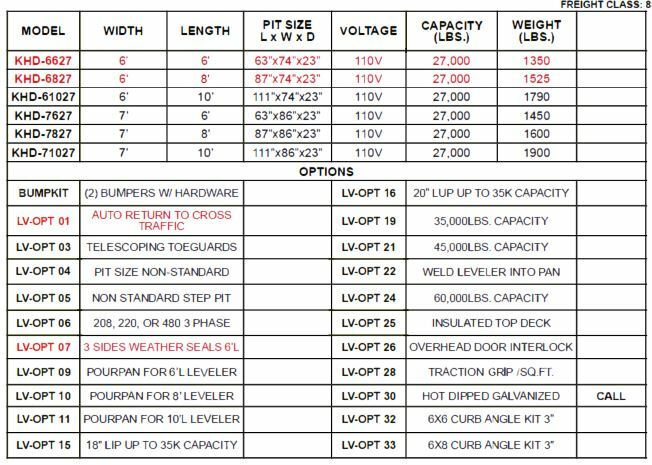 Hydraulic dock levelers are ergonomically efficient and easier on workers because there is no bending and chain pulling, resulting in a lowered chance of injury. The hydraulic leveler has one motor, two cylinders and hoses. Hydraulic dock levelers are ergonomically efficient and easier on workers because there is no bending and chain pulling, resulting in a lowered chance of injury. Is spring-powered, requiring manual activation. It must be positioned onto a trailer by first pulling a chain (at the leveler’s rear) which sets the “hold down” system free, letting the platform rise and the lip extend. The operator then must walk onto the platform and use his bodyweight to lower the leveler onto the trailer bed. Should the trailer be below dock height, the operator then has to pull a second chain (this one near the leveler’s front) in order to retract the support legs. 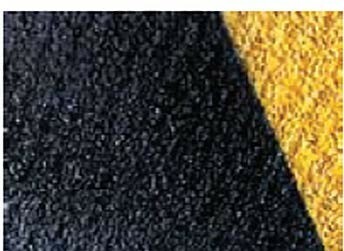 This allows the platform to travel below the deck. 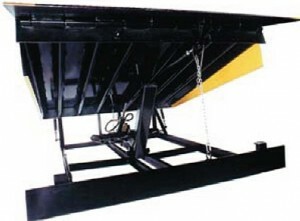 The ergonomics of a mechanical dock leveler is less efficient than a hydraulic dock leveler. The mechanical dock leveler has springs, hold downs, lip latches and more moving parts, parts which are consistently under pressure, requiring more frequent replacement, particularly of the leveler’s springs. In addition, the mechanical’s springs are heat/cold sensitive – expanding in the heat of summer and contracting in the cold of winter – requiring consistent adjustment as a result. OUR MECHANICAL LEVELER EASY TO OPERATE. 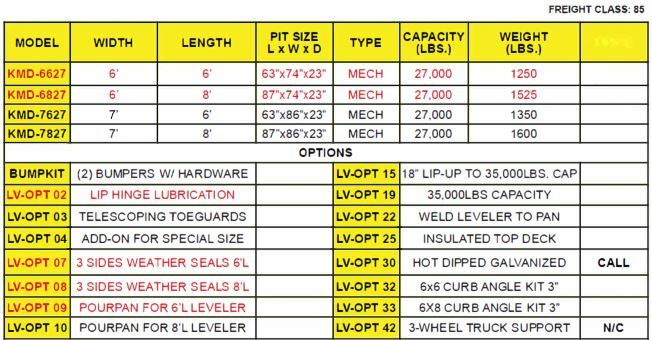 STANDARD CAPACITY IS 27,000 LBS.